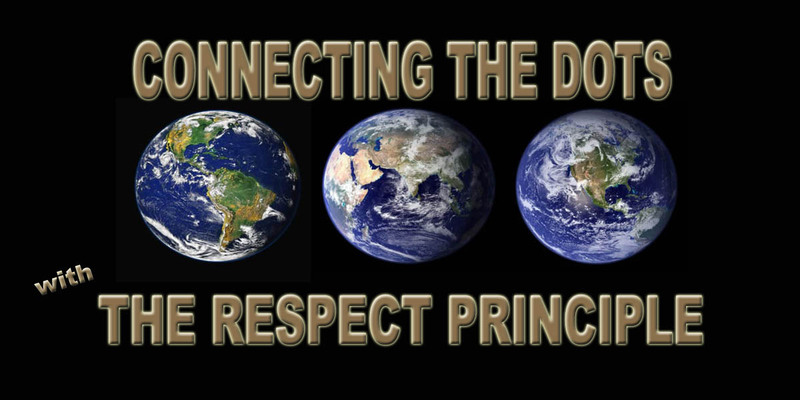 After creating a world based on the Disrespect Philosophy, the only recourse for many people are using lawyers as intermediaries to gain the RESPECT: the recognition a life is valuable. As my Dad’s daughter and a lifetime advocate for people who cannot or who do not know how to stand up for themselves, I cannot move on till Dad gets the 3 hours a day 7 days a week nursing care his doctor ordered in January 2013 and till he is a safe environment where he is no longer a target of a jealous resident, whom though he doesn’t know any better, is still a risk; even poses great danger to our Dad’s well being during his remaining months. Undoubtedly, all the people connected to Dad’s care, his wife, family, Pinecrest Manor and Revera management team, are doing the best they can, but in a world run by the Disrespect Philosophy, its limited thinking and all of its red tape, plus gaps in communication, the care he needs is not what he receives. Even just getting people to agree what constitutes “nursing care” is ambiguous enough, so far, to keep him from receiving the nursing care he does need from the Carpenter’s Trust Fund nursing benefit. We thought with Dad in a nursing home, now called long-term care, that he would get the several hours of daily attention he needs, but because he isn’t dying in a bed, but on his feet walking, he does not need “nursing care” regardless of what his thin-skinned bloodied arms and legs look like after his repetitive banging into walls, doors and floors. This week, I do congratulate Pinecrest Manor and Revera for their recent stepping up to the plate … bringing in a hearing aid specialist to inform their staff how to work with their residents and their very expensive (thousands of dollars) hearing aids since the quality of their lives, residents, staff and family are deeply affected by not being able to hear … as is the safety of all in the residence, but particularly the residents, especially those like our Dad who are not confined to a wheelchair but whose daily existence is primarily filled with walking, with or without his walker or hearing aid. Next is to help the resident who was seen shoving my Dad in the past week because the resident wants my attention and not my Dad to get the attention he wants. Abuse not dealt with is neglect, so I hope we can get the resident to comprehend this is not acceptable behavior. In the meantime, the challenge remains: Getting Dad the care his special needs require for his safety, peace of mind and for the RESPECT he deserves as a person living out the last months of his life in a place he does not want to be … but needs to be because of the constant demands of his conditions and because our family does not have the wealth to have him live at home with 24-hour care. In a world based on The RESPECT PRINCIPLE none of this would be an issue because we would have developed a high enough RESPECT LEVEL to draw on the innovators and creators who would develop a new approach to care plus the new leaders and managers who would develop the new approach to the management of our resources so everyone would receive the care they need. Long way to go … but the majority uses less than 20% of their brains, so there is lots of room to hope … and grow. That’s what you want for you and your loved ones too, right?